It's all about managing expectations. Whether it's a plushie you bought off a random internet site, or a job you're applying for that you have no real qualifications for, it's usually best to keep your expectations low so you won't be disappointed. That way, I'm always pleasantly surprised at any outcome. I didn't buy anything. I just kept not buying things that I thought were woefully overpriced for their quality level. Need fluent Spanish for all their roles. Wasn't this position recently filled? Are they planning on hiring more than one? That's probably who they hired then. They likely just haven't gotten around to closing the applications for it yet. 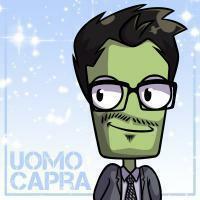 @UomoCapra Applications (and this thread) closed?
" Private Division, the producers of Kerbal Space Program, are looking for a Community Manager to work with the Squad Community Manager..."
As Stone Blue says, St4rdust is the Squad CM and they're looking for a Private Division CM as well. That's correct, otherwise we would've closed the thread. Wouldn't mind being able to come back to this. You probably have some fun stories from back when KSP was in it's fledgling years. Though I am aware of NDAs, and will probably not have a chance to hear any of those stories. Personally, if I was CM and I had permission to work on that, I would get the KSP store back onto its feet again. So many things left abandoned (rip Kerbalizer) and in need of fixing or replacing. I know there's a lot involved but it has to be easier to work with a vendor than to work to establish a manufacturing line and get products made for yourselves. There's clear demand and I think if someone on the inside showed there's profit by looking into the cold hard numbers, that something might happen. But the rampent demands of forum-goers is just dust in the wind, nearly invisible and certainly not missed once it's gone. KSP has a lot of potential. Not only as a game, but also as a cultural icon, educational tool, and more. I must wanted to bring KSP to the Kennedy Space Center (Floridian typing), since where better to mention and have a space game shown off, than at the space capitol of America's east coast! But sadly such an opportunity seems to not be in the cards. I know my resume shows I have little experience, but I am quick to learn and damn passionate about what I work on. *sigh* Apologies for the rant. But I agree with what everyone's said here.